Now that Stephanie and I live just a few hours away from Delaware (our home in northern Virginia makes it an easy day trip or weekend trip for us), we know that Wayne and Garth’s lack of enthusiasm is pretty misguided. 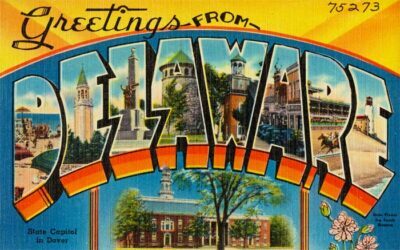 In fact, Delaware is an interesting state to consider when your travels take you through the United States. While it is not the smallest state in the USA (Rhode Island, a few hours away, up the east coast, has that distinction), it is small enough that even a single day can take you from the beaches to the breweries or from historical towns to modern cityscapes. In fact, a drive from Wilmington (near the northern edge of the state) to Bethany Beach (near the southern edge of Delaware) can take as few as two hours. 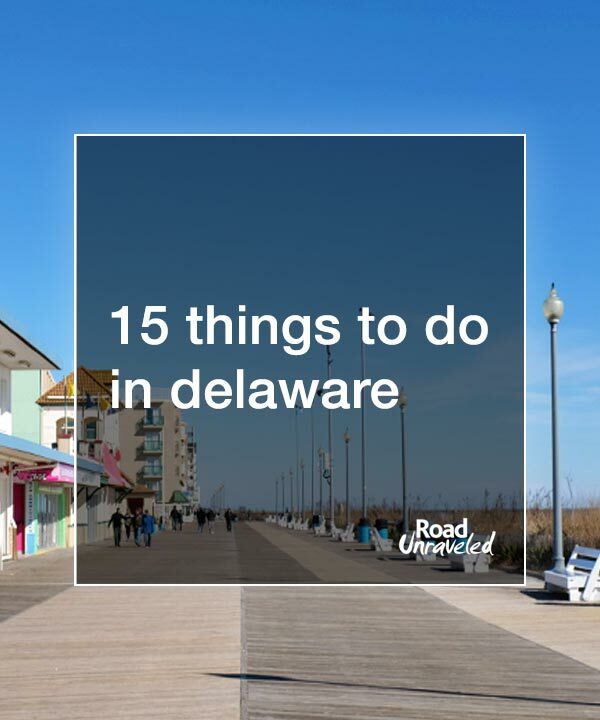 That leaves plenty of room for stops along the way to enjoy the many locations and activities Delaware has to offer! With that in mind, we decided to plan a road trip through Delaware to see as much of the state as we could in just a single weekend. Although we had to leave plenty of museums, restaurants, and historic spots off our itinerary (as often happens when you have limited vacation time and want to make the most of the days you can get away! ), our road trip was a fun way to highlight some of the best that Delaware has to offer. We broke up the itinerary into two days, starting in southern Delaware and ending in Wilmington near the northern border. 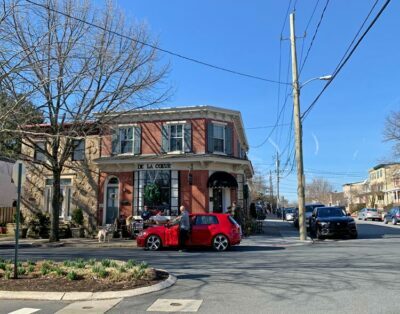 If your travels take you through the state of Delaware, consider adding some of our favorite locations to your itinerary! We started our Delaware road trip in the southern part of the state and gradually made our way north. 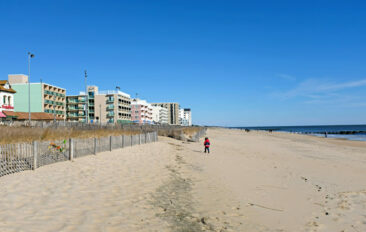 Here are a couple highlights to check out if you’re in southern Delaware. 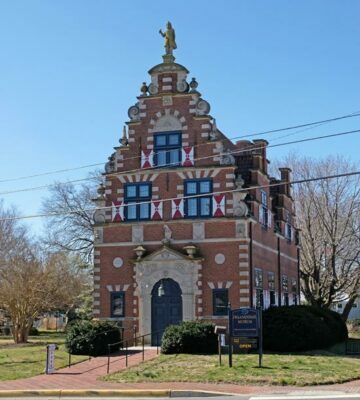 This Dutch-style building honors the first European settlement, Zwaanendael, established by the Dutch in 1631. The stepped exterior and intricate stonework is reminiscent to buildings we saw during our visit to Amsterdam. 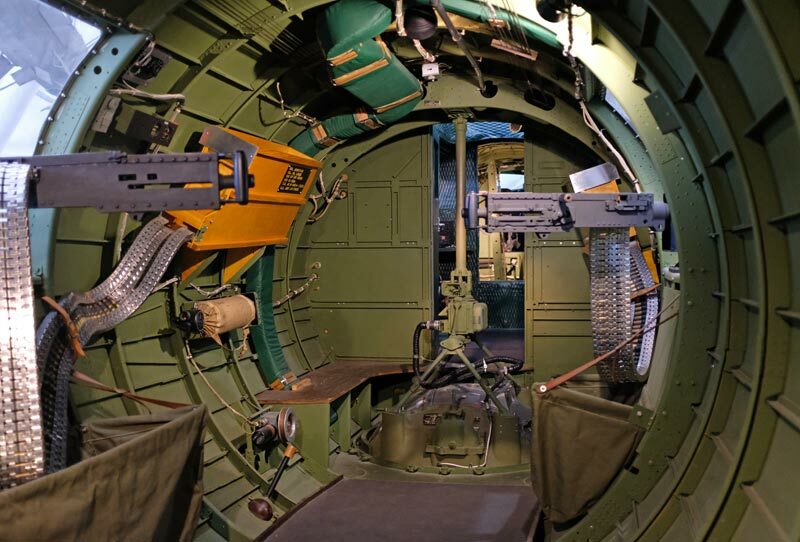 The building houses the Zwaanendael Museum, which celebrates the history of the region with interesting exhibits and stories of the original European settlers. 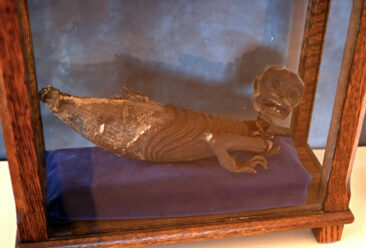 The museum is also home to an odd creature known as the Fiji Merman. Made of a monkey head attached to a fish body with clawed hands, the concept of the Fiji Merman has ties to P.T. Barnum (of circus fame) who used the bizarrely-constructed creation to draw people to his shows. 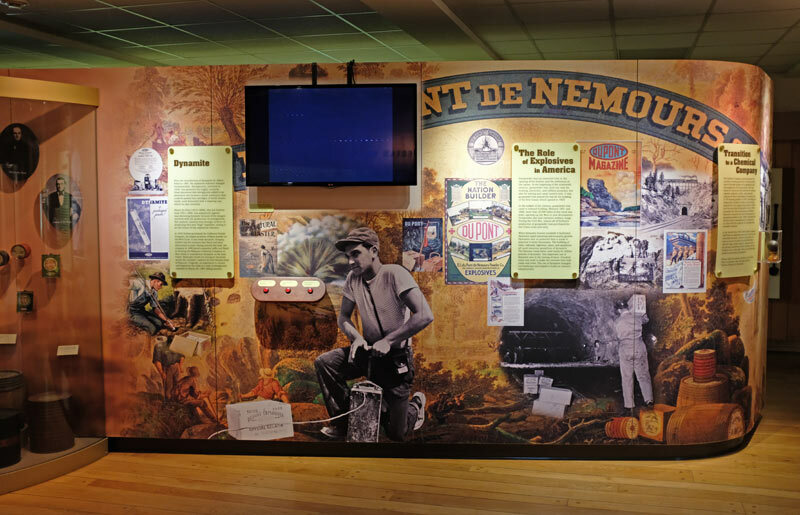 The Zwaanendael Museum’s merman did not travel with Barnum (he was a gift to a Lewes resident more than a century ago), but the museum is worth visiting and a great way to spend some time. 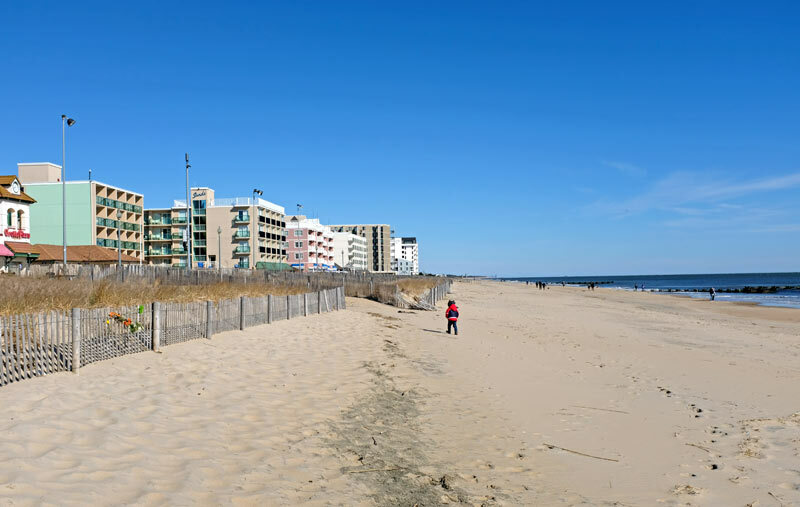 Rehoboth Beach is an enormously popular summer destination for people in the Mid-Atlantic, and even though I’ve had friends recommending it to me for years it was only on our recent trip that I visited for myself. 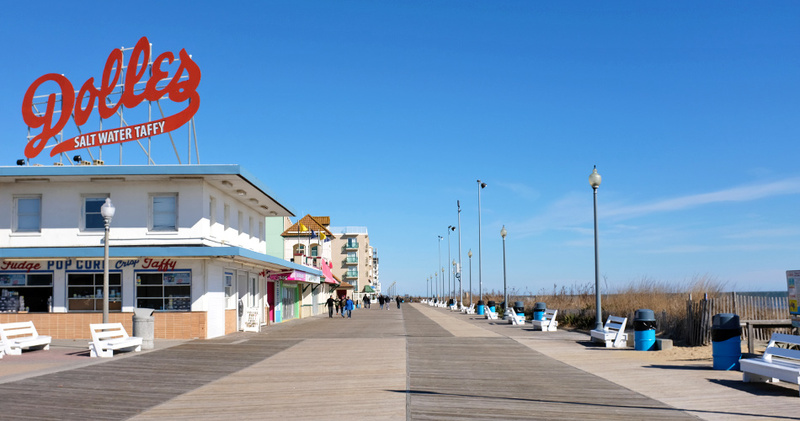 The beaches of Delaware are busy throughout the spring, summer, and fall, and you’ll find plenty of fun things to do. While most people are seeking the chance to lay in the sun or swim in the waves of the Atlantic Ocean, you’ll also find great bars, restaurants, and shops along the boardwalk. Thrasher’s French Fries is a local favorite, and the salt water taffy at Dolle’s Candyland makes for a great beach snack! 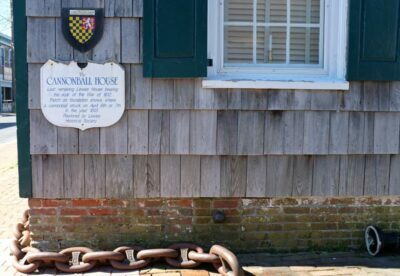 Located in Lewes, Delaware, the Cannonball House is a fun place to stop for a photo and to appreciate a little history during your trip. The house is listed on the National Historic Register of Places due to its role in the War of 1812. In 1813, the British held a naval blockade near Lewes, and a bombardment resulted in massive damage throughout the city. This house still bears the scars from that assault- you can see an embedded cannonball lodged in the building’s foundation to this day. 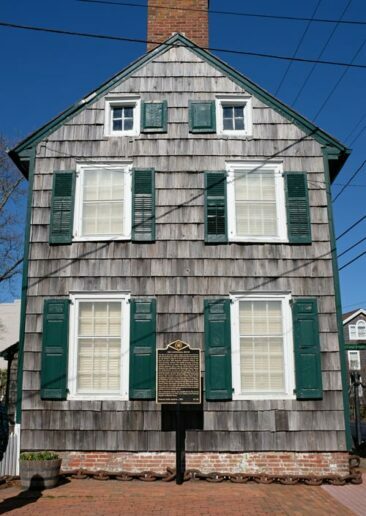 The house is now home to The Lewes Historical Society’s maritime museum. 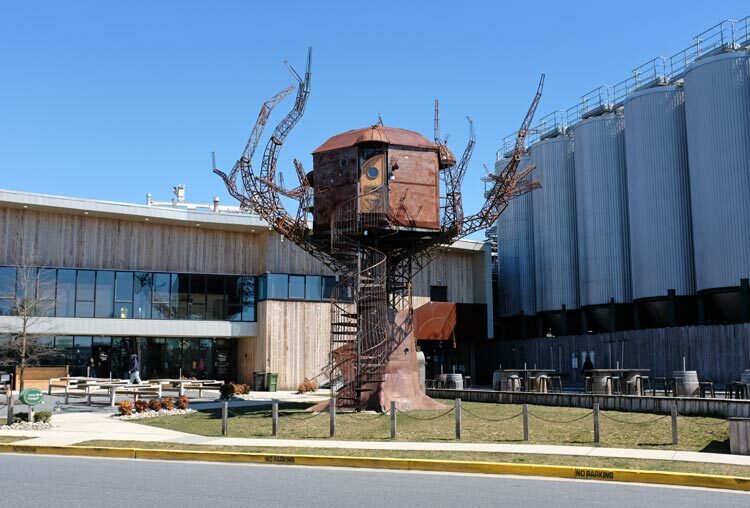 We’ve enjoyed Dogfish Head beer at their brew houses throughout the Washington, DC region for years, so we made sure to add the original brewery in Milton, Delaware to our road trip itinerary. Founded in 1995, Dogfish Head can now be found in 31 states and has been featured on multiple TV shows and media outlets over the years. The brewery in Milton offers tours, but you can also just stop by the tasting room and enjoy it at your own pace. You’ll know you have arrived when you see the Steampunk Treehouse appear on the horizon. 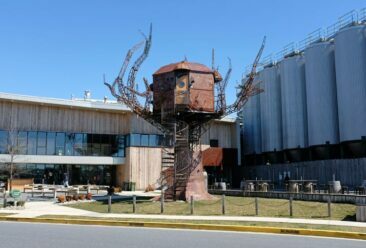 The treehouse was once a piece of art on display at the Burning Man festival, and now it calls Dogfish Head its permanent home. The beers on tap change seasonally, so try one of the Dogfish Head exclusive beers that you won’t be able to find anywhere else. There’s little more we love to do than try local wine when we travel, so we made sure to save time to visit Nassau Valley Vineyards during our weekend trip to Delaware. Nassau Valley is the first commercial winery in Delaware, and the winery’s founders played an instrumental role in changing the state’s legislation to make farm wineries legal. We hadn’t tried Delaware wine before and didn’t know how it might compare to other east coast wineries like those in Virginia or New York’s Finger Lakes, but Nassau Valley’s wine can certainly hold its own! We each tried six different wines from their lengthy tasting menu, and we enjoyed both the whites and the reds that were available to us. The sweet Delaware White made it into our selection because the grape itself boasts the name of the state (we didn’t know there was such a thing as a Delaware grape! 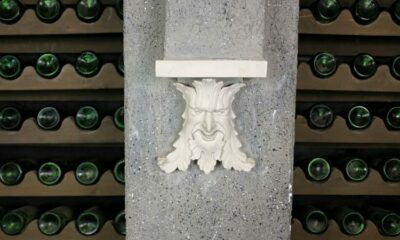 ), and the Indian River Red blend of Merlot, Cabernet Franc, and Cabernet Sauvignon was memorable. We ended up loving the House Red—which blends the same three grapes—so much that we got a bottle of the berry-forward wine to bring home with us. Delaware might not be the most recognizable wine growing state in the nation, but be sure to add Nassau Valley Vineyards to your road trip itinerary for some excellent samples! We stopped for lunch at Crooked Hammock Brewery, and we had a hard time deciding whether the food or the beer was the best part of our visit. Crooked Hammock’s beach vibe and relaxation-centered environment made it easy for us to do just that—relax—when we arrived. We both ordered a beer sampler to try a few different brews. I really enjoyed the Wai Ola, a California-style ale with heavy hints of coconut. Stephanie’s favorite was the smoky A Night in Roxbury, an ode to a night gone wrong in the Roxbury neighborhood of Boston (firefighters were called… twice…). The food was excellent as well. 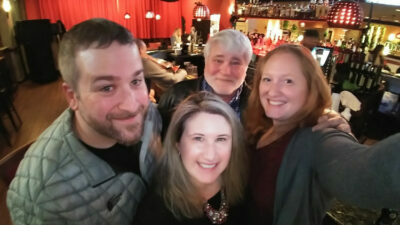 We split sandwiches—Mootzy’s bratwurst and the buffalo chicken sandwich—and some tasty crab dip, and we were too full to even talk about food again for hours! After a morning of driving, visiting quirky museums, and enjoying local wine and beer, we continued our road trip and made our way north to the central part of the state. 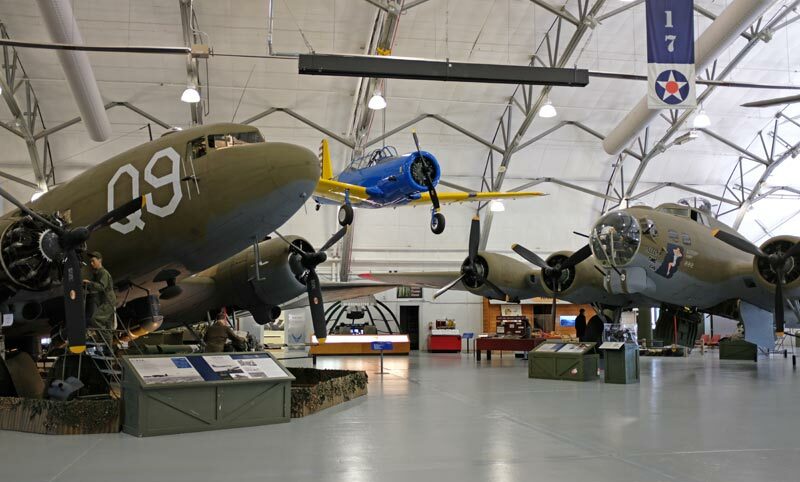 Here are a few of the highlights to check out near Dover. We always enjoy visiting the Smithsonian National Air and Space Museum and the Steven F. Udvar-Hazy Center in Washington, DC, so when we found out about the Air Mobility Command Museum in Dover we knew we had to stop by for a visit. 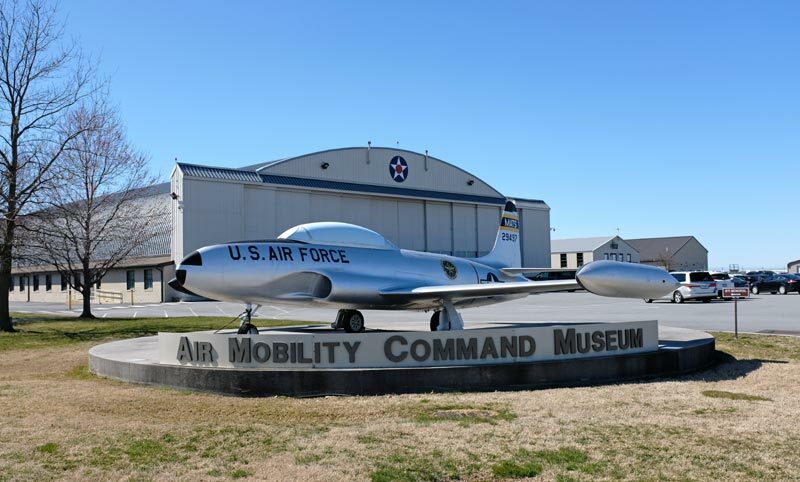 Located at Dover Air Force Base, the museum has over 30 aircrafts on display, making it one of the largest collections of US military aircrafts in the United States. 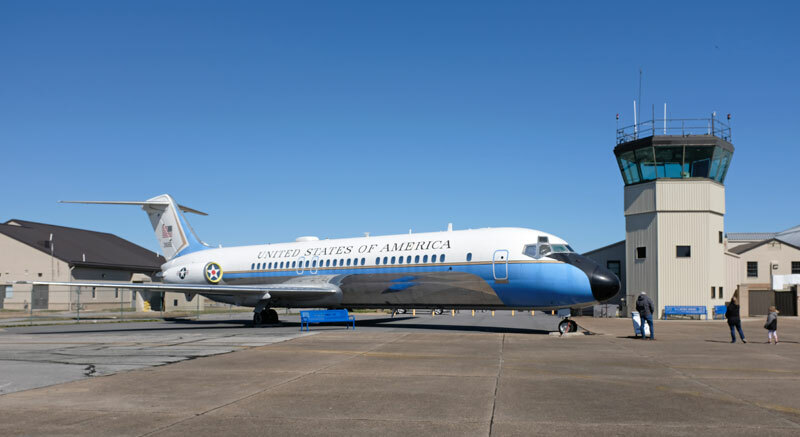 In addition to interactive exhibits and simulators, you’ll find helicopters, fighter jets, bombers, and even a retired presidential plane, all up close and personal. 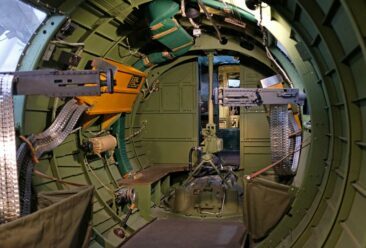 This is a must-visit for airplane and military enthusiasts. 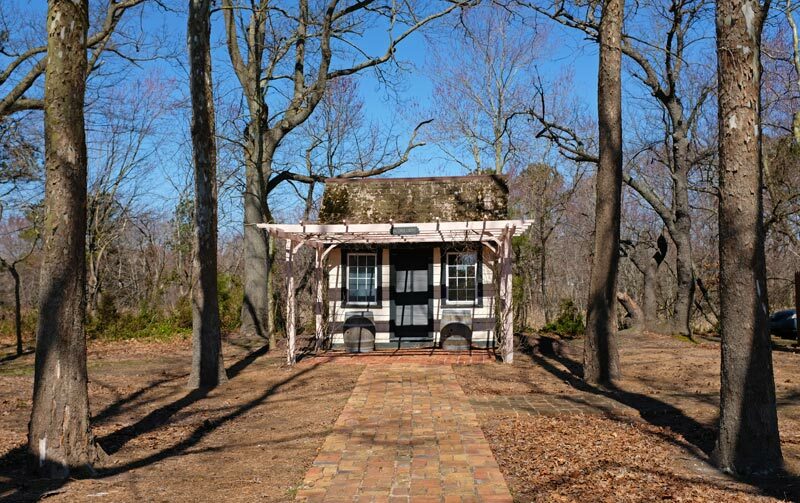 Known as a “park without boundaries,” First State Heritage Park is a great place to learn about the impact Delaware had on the early days of the United States. You can take your time walking through the park on your own, or you can join one of the guided tours if you prefer. 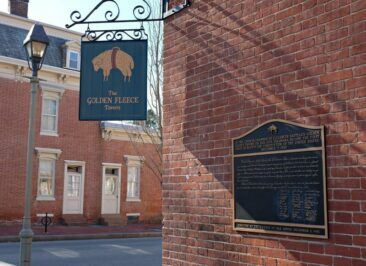 The area in the center of the park known as “the Green” has many of the main attractions including the Golden Fleece Tavern and the Old State House. The Golden Fleece Tavern was the location where a group of elected delegates met in 1787 to ratify a document that outlined the basic framework for a new nation called the United States of America. From galleries, historic buildings, and museums, you’ll find plenty of interesting places to check out during your visit. 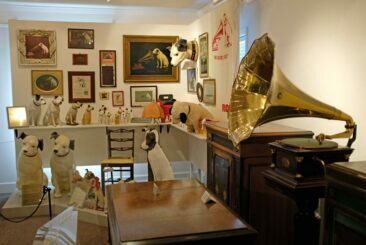 This museum is home to an impressive collection of sound recording artifacts dating from the 1890’s to the late 1920’s. Celebrating Eldridge Reeves Johnson, the inventor of the Victor Talking Machine Company, the museum is a must-see for music aficionados. 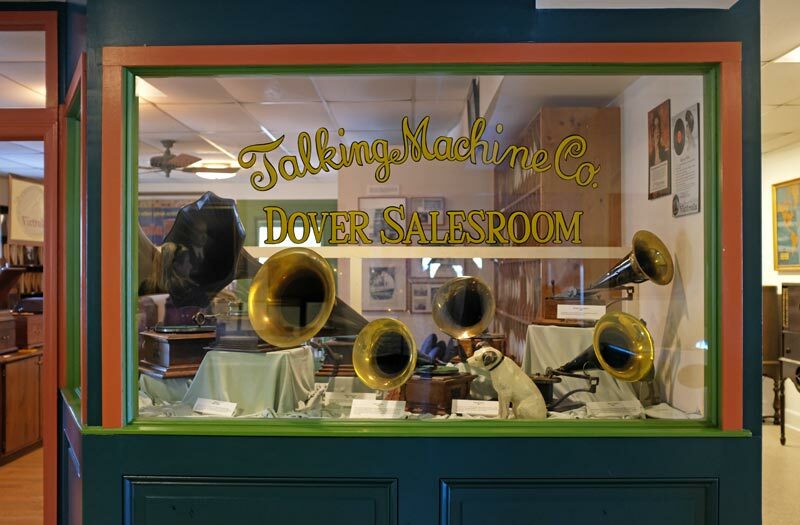 The Victrolas and “talking machines” are not very common nowadays, but they had an enormous impact on recorded audio advancements in the early 20th century. 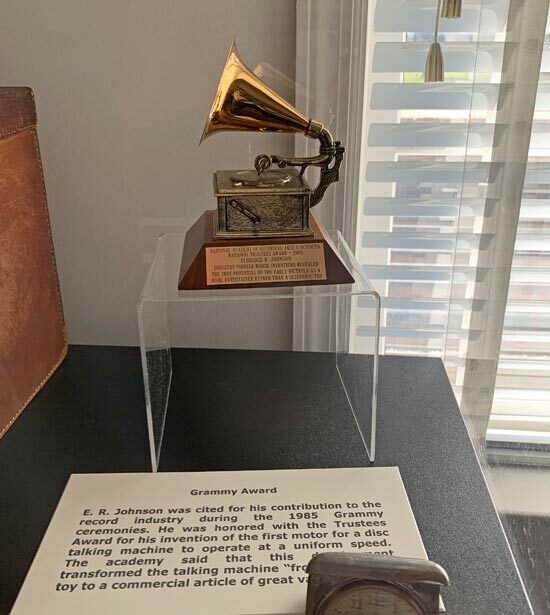 The devices were so influential that they inspired the look of the Grammy award trophies. The Victor Talking Machine Company would later become RCA Records, and they proudly displayed the device on their logo. 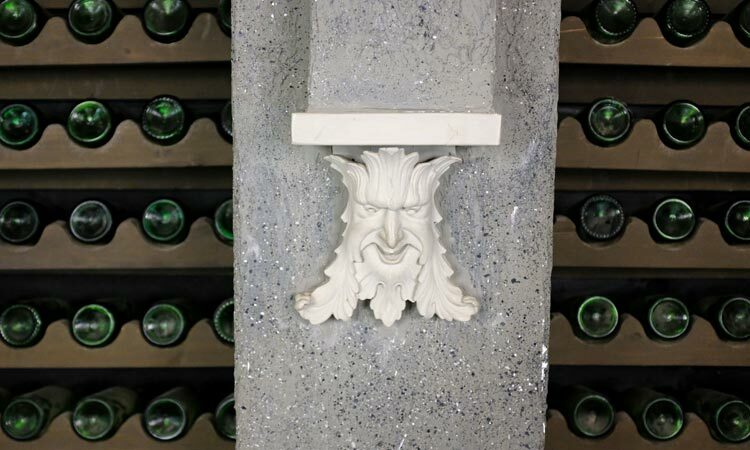 We were impressed to find the staff willing to give us a guided tour of the collection. 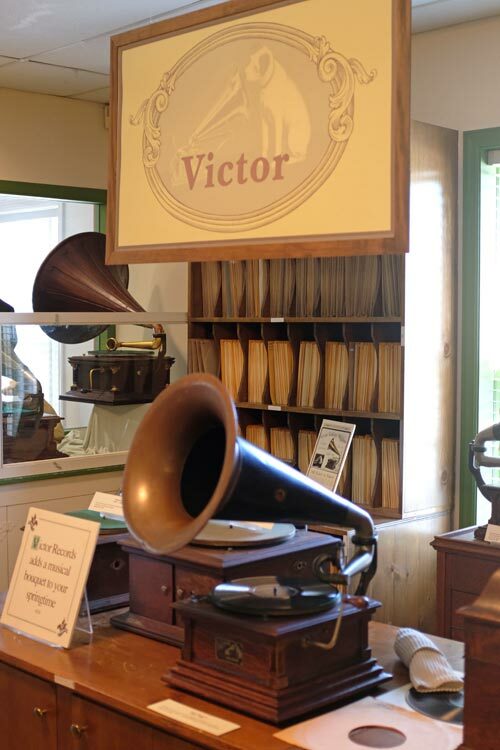 The first floor includes a great history of the Victrolas as well as some demonstrations that show how each new Victrola improved upon sound quality and the listening experience. The second floor showcases a former private collection of some of some beautiful Victrolas that are really works of art. 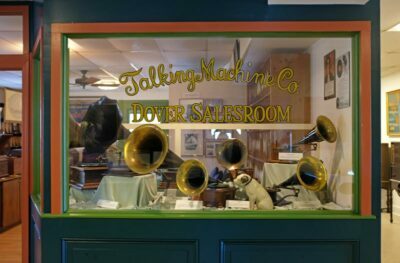 Make sure to stop by the Johnson Victrola Museum if your travels take you through Dover! With the time ticking away in our day in Delaware, we continued north towards Wilmington, where we met up with our friends Bret and Heather (who we met during our Antarctica trip in 2017!). 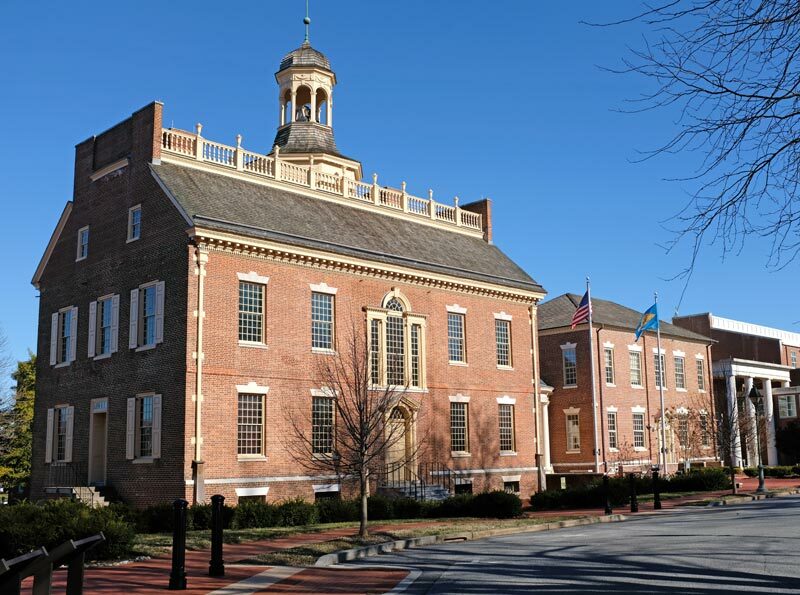 Here are a few of the places to add to your list near Wilmington, Delaware. The “Chateau Country” of northern Delaware is one of the most beautiful areas of the state. 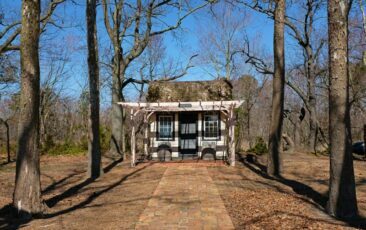 The region was home to the famous DuPont family, often referred to as the “First Family” of Delaware, and their luxurious mansions, estates, and gardens showcase their stories. Winterthur, the Nemours Mansions, and Longwood Gardens (located just over the state line in Pennsylvania) all allow you to explore the magnificent gardens and estates. If your imagination wanders, you may find it hard to believe you’re not visiting a classical European palace that was home to royalty! This video from VisitDelaware showcases the scenery and landscapes that make this part of the state so majestic. In the 1800s, the state of Delaware played a crucially important part in the National Underground Railroad Network, a secret network of safe houses and transportation routes to help African-American slaves escape to free states in the North. Wilmington has multiple locations that commemorate the history of the Underground Railroad, including the Riverfront’s Tubman-Garrett Park, the Jane and Littleton Mitchell Center for African American Heritage, and a permanent exhibit inside the Delaware History Museum. The museum is located next to the Old Courthouse, a building that was the site of many speeches by abolitionists. Situated along the banks of the Brandywine River, the Hagley Museum and Library is a sprawling campus of industrial works and historic buildings. 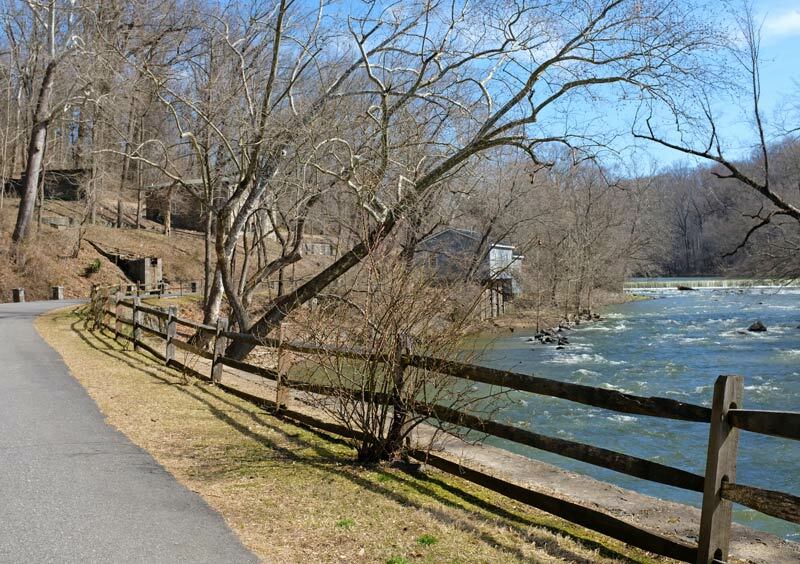 Established in 1802 by E. I. du Pont, you’ll find 235 acres of mills, gardens, gunpowder works, and historic houses that you can explore either on foot or via a guided tour bus. 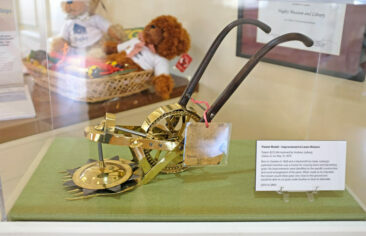 Be sure to look for the historic Patent Model collection while you’re there. Between 1790 and 1880, the United States required patent applications to include an actual working model proof-of-concept along with the usual paperwork. However, storage space eventually became an issue, so the patent process was simplified to a diagram example. 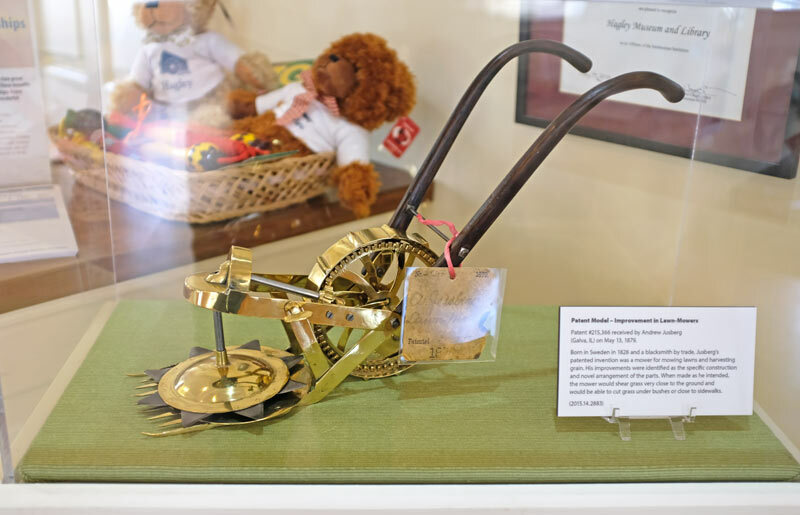 You can see dozens of patent model trinkets from this era on display in the Rothschild Patent Model Collection in the Hagley Library. 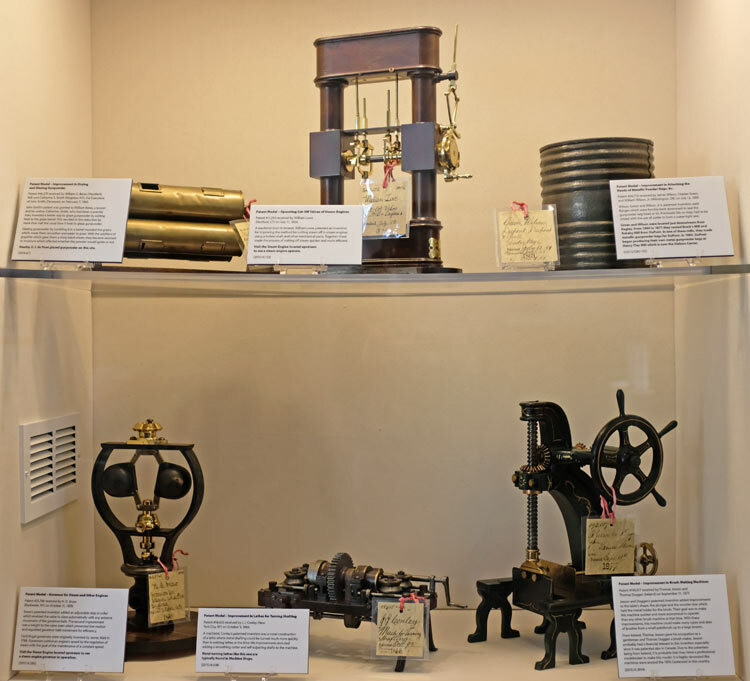 There are a few models on display at various locations throughout the Hagley Museum as well; since the Rothschild collection is not always open, you’ll still be able to see some of the working models once submitted with patent applications. 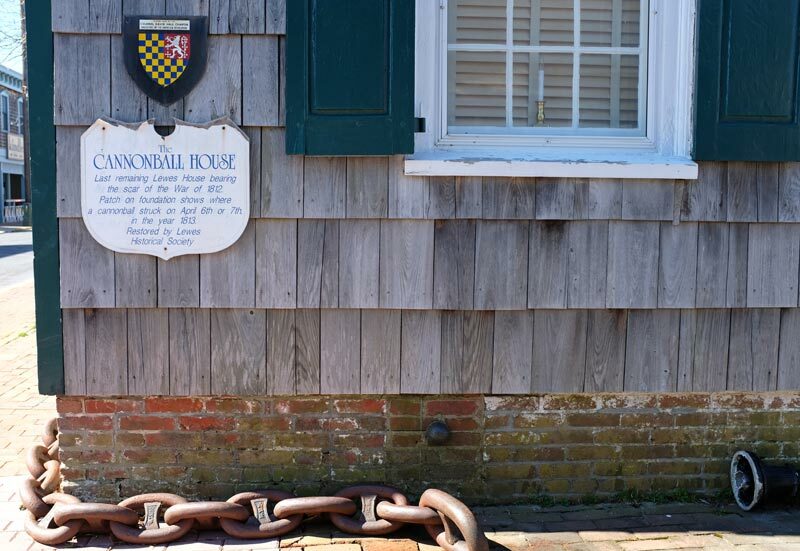 Did you know Delaware was home to the first Swedish settlement in North America? In 1638, Swedish settlers landed in this location in Wilmington and built Fort Christina, named after the Queen of Sweden at the time, to establish the colony of New Sweden. Fort Christina and the colony eventually fell after raids by the Dutch and later the English, and by the 1670s it had been completely resigned to the history books. The site of Fort Christina, now part of the First State National Historic Park, is a hidden gem for history lovers and can be visited free of charge. 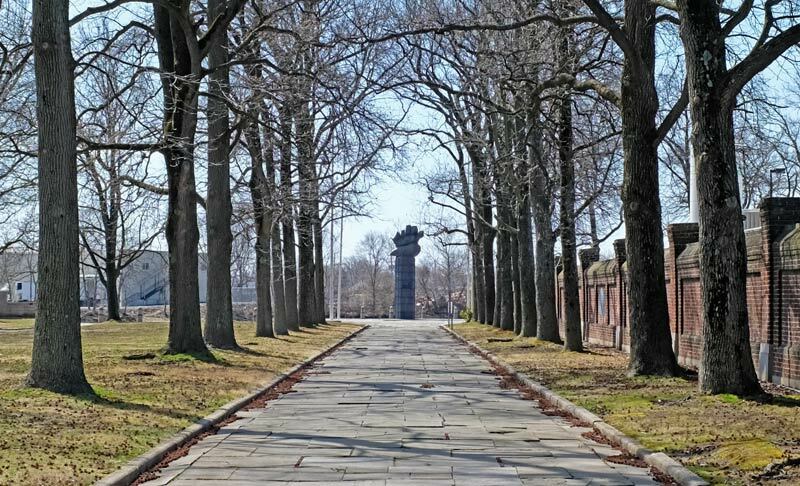 The centerpiece of the site (officially called Fort Christina Park) is the Fort Christina Monument, a statue gifted to the United States by Sweden’s Crown Prince Gustav Adolf in 1938. It features the Kalmar Nyckel, one of the ships that carried the original Swedish settlers. It’s a fascinating piece of American history that is not always taught in history class! We’ve had plenty of great meals during our travels, but the experience we had at Banks’ Seafood Kitchen will always rank among the very best. We joined Bret, Heather, Bret’s daughter Lauren, and his son and daughter-in-law Lane and Jamie for several hours of fresh seafood and expertly-prepared drinks. From the steamed shrimp to the fresh Blish Point oysters to the succulent lobster rolls with truffle fries, we could not have been happier with our meals. More than we loved the food, we also enjoyed getting to know Marvin, our server, whose attentiveness and knowledge were only surpassed by his ability to make us feel more like friends than guests at a restaurant. His cocktail recommendations were outstanding as well. Banks’ is a great place for an exceptional meal; whether you are looking for a more formal dining experience or a casual evening eating and drinking with friends, we know you’ll end the evening just like us: already planning our return! We really enjoyed breakfast at De La Coeur Cafe et Patisserie, a Parisian-inspired cafe and bakery that drew a big crowd on a Sunday morning. We had a very short wait before being seated, and it wasn’t long before we were enjoying French toast that sandwiched a blueberry-cream cheese filling and savory crepes stuffed with spinach, sausage, and Gruyere cheese. We couldn’t leave empty handed, so we also purchased a pair of freshly-baked oatmeal creme pies to take for a snack on our drive back home. They were so good we regretted not buying a few more to have during the work week! 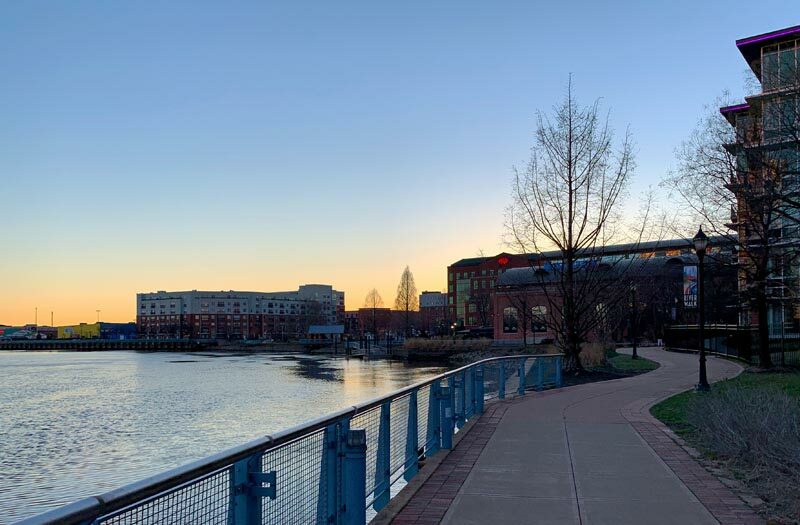 The Wilmington Riverfront is a great place to spend time after a full day of exploring the First State. With numerous restaurants and bars you’ll have no trouble finding something great to eat, and the area hosts everything from the Delaware Children’s Museum to movies to a theater company. We really liked the riverwalk, which offers more than a mile of boardwalk-style pathways that are perfect to stretch your legs—something we needed after driving through the state! Your Delaware road trip might take you on vastly different routes than the path we chose, but our excursions ended in Wilmington. We stayed at the Westin Wilmington. Located right on the riverfront, we were within a short walk of plenty of dining and entertainment options. Our room was big, clean, and had a fantastic shower. Most importantly, the bed was really comfortable and gave us a chance to get a much-needed night of sound sleep after a full day of exploring Delaware! We used Booking.com to find our hotel, and it gave us a great way to compare hotel locations and pricing to be sure we got the hotel we needed. If you are planning to visit Delaware, we hope you find the hotel you need on Booking.com as well! 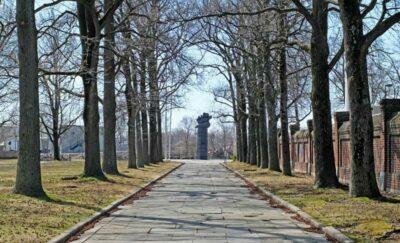 Delaware draws many more visitors during warmer months, and because we arrived early in the season some of the spots we hoped to visit were still closed for the winter. The Nemours Mansion and Fort Christina Park were both closed for the season, and the full Rothschild Patent Model Collection in the Hagley Museum is only open to the public a few times each month. If you have a place you’re excited to visit, be sure to check their website to confirm their operating hours before you get too far into your planning. For us, we still had a packed agenda, and we’re looking forward to a return trip to explore even more! From historic towns, relaxing beaches, and world class breweries to fascinating museums, family-friendly parks, and outdoor excursions, there is a lot to see and do in the First State. 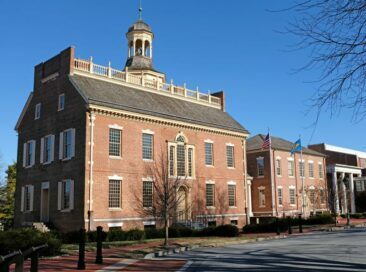 If you have just a day or two as a short trip or while passing through as part of a longer drive, Delaware will give you dozens of reasons to stop and really experience what the state has to offer. Don’t let Wayne and Garth try to convince you otherwise! What other locations would you add to a road trip through the First State? Leave a comment below and let us know if you’re planning to visit Delaware! 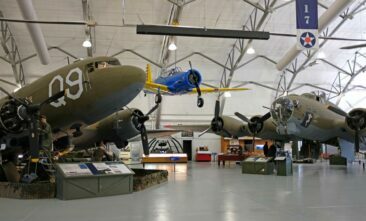 Want to read about more interesting locations near Delaware? Here are a few places to check out! * From time to time, our travels are directly impacted by a service or company. In this case, we visited multiple locations in Delaware, and this post includes our candid review of our experience. We selected these locations based on our own research and travel needs; we were not offered and did not receive compensation of any kind from them or any other party in exchange for our review. Learn more about our travel philosophy here.